Rather than "fixing" the body, Moshe Feldenkrais taught how to expand its capacities and ranges of choice. "I am going to be your last teacher. Not because I'll be the greatest teacher you may ever encounter, but because from me you will learn how to learn. When you learn how to learn, you will realize that there are no teachers, that there are only people learning and people learning how to facilitate learning." With those words Moshe Feldenkrais began his first North American training in June 1975. None of us were really prepared for this remarkable man or his method. A powerful presence, Feldenkrais (1904-84) influenced and challenged almost all who came into contact with him. Physicist, engineer, mathematician, Judo master and student of acupuncture, Feldenkrais embodied the best of West and East. Sources of the Feldenkrais® Method included Judo and Yoga, as well as physics, engineering, mathematics. He was also a man of many cultures and languages and in his work one can sense influences from Russian, German, French, English, Yiddish, and Hebrew. Feldenkrais is known for developing Functional Integration and Awareness Through Movement, both of which are somatically based approaches to education and self inquiry. Functional Integration is tailored to the needs of the individual; through it one can establish, restore, or greatly improve functional action in the world. It involves gentle, hands-on educational guidance which is done with the student clothed. It is noninvasive and is not painful. Awareness Through Movement (ATM), the group work, consists of verbally instructed sequences and combinations of movements. They are done either actually or in the imagination, and enable participants to improve both the range and quality of movement. Despite its many varied themes, ATM is pervaded by two general injunctions: First, move only in your comfort zone. The idea is to work smarter rather than harder. The lessons take us beyond our limits by finding new combinations of ways to move. Second, carry out the instruction only as long as you can pay attention to what you're doing. If the mind begins to wander, if the movement becomes mechanical, stop. Using these principles, Feldenkrais lessons often produce dramatic results. But to Feldenkrais, all results are trivial compared to the importance of directing one's own learning. Feldenkrais traced the origin of his work to a time in his life when he was directing antisubmarine research for the British Admiralty during World War II. He was required to be on a ship every day. Ships at sea pitch to and fro, and the constant jostling was wreaking havoc with a knee which had been injured years earlier in a soccer accident. He went to one of the best surgeons in England, who after examining him concluded that an operation would probably prove successful. Feldenkrais asked what he meant by "probably successful." The surgeon gave Feldenkrais 50-50 odds of either a successful outcome, where he would walk normally, or an unsuccessful one, where he would have to walk with a cane for the rest of his life. Feldenkrais' response was that such odds were no better than mere chance. Upon informing the surgeon that he would fix his own knees, Feldenkrais was told that within six months he would return begging for an operation. Undaunted, Feldenkrais began a detailed study of anatomy, kinesiology, physiology, and biology as they related to human movement. Through his wife, who was a pediatrician, he gained a thorough understanding of child development. He discovered that the information in the books he read contained the answers to other people's questions but not his. Moreover, they tended to have a simplistic and mechanistic perspective on the body. Nonetheless, from what he gleaned Feldenkrais began to make subtle manipulations of his knee. He kept careful records of his attempts: he would note the effect during the manipulations, as well as 30 seconds, a minute, five minutes, an hour, a day after each one. He gradually found the right combination of manipulations to restore his knee's functioning. Or so he thought. Walking on a sidewalk in London, Feldenkrais hailed a cab. Stepping off the curb onto what he assumed would be the street, he in fact stepped into a storm drain and reinjured his knee. Feldenkrais realized that, in his words, "I was like every other idiot who fixed a part and didn't look at the whole system." He then began an inquiry into the activities of daily life that led him to his greatest realization: whether one walks poorly or gracefully, unless one understands how one does what one does, both are equally mechanical. Those who walked more gracefully or efficiently than others couldn't tell Feldenkrais how they had learned to walk well, nor could they tell Feldenkrais how to do so. They didn't know how they were doing what they were doing. As a habit, Feldenkrais believed, good posture is no better than bad posture. That is, if we are ignorant of the means whereby we acquired our habits then whether they are "good" or "bad" the underlying habit is ignorance. He tried again to restore functioning to his knee, but now he knew he had to proceed very differently. Each incremental step towards understanding seemed to undermine Feldenkrais' intuitive assumptions about himself and the world, to the point where he said at times he felt he was going mad. He saw that the original soccer injury was due as much to his aggressive attitude on the playing field as to the accident. Yet how could he rigorously question his sense of the rightness of his habits? What his senses had told him was right now seemed wrong. How does one improve behavior if sensations can't be trusted to provide objective data? Grasping for explanations and in need of a way to prove or disprove his attempts at change, Feldenkrais developed a unique and comprehensive view of sensory motor functioning and its relation to thought, emotions and action. Because of his deep understanding of physics and the scientific method the counterintuitive results of his research did not discourage him. His work, while informed by science, came to parallel the Eastern path of joining mind and body, intention and action. In his research body-mind integration shifted from being a medical or scientific concern to becoming a path toward knowledge and beauty. As he proceeded Feldenkrais felt aligned to meditational disciplines in his recognition of the need to entrain attention and to develop the capacity to attend to what we do. At first Feldenkrais was content to work on himself. Then came requests to work with the wives and husbands of colleagues. After successfully working with many individual students, he began to develop his group lessons, which coordinate intention and action as well as providing the means to "know what you are doing, so that you can do what you want." How does one decide where to begin a lesson? Again it's instructive to look at an example from Feldenkrais' life, taken from a time when he was a young Russian Jewish immigrant in Palestine in the 1920s. Attempting to protect his community, Feldenkrais, along with other young men, learned Jujitsu in a makeshift dojo. Subsequently there was a street skirmish, and many of those who thought they knew how to defend themselves were severely injured. Those who ran were spared. Realizing the arbitrariness of his previous studies, Feldenkrais, utilizing the other young men decided to conduct an experiment. He staged armed and unarmed attacks on people and filmed their first reaction. Was it to cover up, to cower, to turn away? He then grafted onto that first reaction a defensive and/or offensive maneuver. Utilizing the person's innate reaction and then extending it through a complementary Jujitsu technique, he trained the person anew. To test the effectiveness of this new method, Feldenkrais put aside the martial training for six months after which he then simulated the attacks again. Those attacked were virtually all able to protect themselves. By building upon what people actually do, rather than what they should do, he eliminated the artifice and hesitation that had proved so costly in the previous way of training. The insight proved crucial to the development of his method. He had learned that to be useful new learnings cannot grow out of what people "ought" to do but must grow out of both what people do and would do. In the Feldenkrais® Method, each person already presents the ideal body, the ideal way to move. For may of us this is a difficult concept to grasp. We take pain, "poor" posture, or limited movement as symptoms of something wrong. Yet each and every person makes the best choices possible given his or her perception of choices. Change is most possible in this realm of "perception of choices." The practitioner's task is to create conditions for more choices. It is not to correct errors, right wrongs, or straighten people out. The practitioner's task is elicit from the student new means of action and judgment. In some systems of bodywork, the ends, such as perfect posture and proper alignment, justify the means, which can include force, pain, and shame. In the Feldenkrais® Method the means -- learning -- and the end -- learning how to learn -- intertwine. The presence or absence of exemplary learning contexts in our past is reflected in the shape of our bodies. Our biological heritage includes well over two million years of successful adaptation and evolution. By basing his approach on the somatic wisdom of the species, Feldenkrais was able to make use of the human nervous system's ability to organize itself around efficient, enjoyable, and interesting movement. Given the means both to make better choices and to act upon them one improves organically, from the inside. In their development, most children chart a more or less orderly path characteristic to our species. Rolling over, creeping, crawling, standing, walking and running, to name a few of the milestones, all take place without instruction. In fact, parents often thwart optimal development by "helping" the child. The Swiss psychologist Jean Piaget has detailed how the child's developing and maturing sensory-motoric coordinations construct its notions of time, space and knowledge. Those "constructions" along with adult and peer instruction implicit in language, locale, diet, and acculturation condition the growing infant. The nearly infinite possibilities of the child's nervous system are pruned and shaped to fit its culture. During the developmental process, the original organismic wholeness of the child necessarily turns into an assemblage of parts. The hand, a part, serves the whole, the body, by feeding it with a fork or chopsticks. Language breaks the body into separate parts: the hand, the wrist, the arm, etc., which create a fragmented "body of thought" apart from our unified organismic body. To make language a part of our biology, we need to be able to read, gain access to, and use the organismic body's "alphabet," "grammar," and "vocabulary." Habits also limit and divide us by pitting body against mind, thought against feelings. We endlessly repeat the same behaviors, while somehow expecting different outcomes. Yet anything learned can be unlearned. By observing and recognizing our learned patterns of behavior we can, given the means, intervene in our own future learning. Feldenkrais invented ways of invoking a sense of somatic wholeness while simultaneously developing the capacity for learning without goals, comparison to others, or external standards. Lessons are viewed as contexts for learning. Most lessons take place lying or sitting. They are 30-60 minutes long. The thing to be learned is never demonstrated. Rather, students are given movement instructions and allowed to make sense of them kinesthetically, thereby connecting one part of themselves to another. Making seemingly impossible actions easy, Feldenkrais lessons question our assumed limitations. Though our quantitative range of movement may be mechanically limited, there are no limits to the quality of movement. The lessons revivify early childhood impulses to move, explore, and learn. Understanding the logic of the body becomes deeply satisfying. Try this out. Make a fist and move it back and forth. Now pretend you have a wrist injury. To move the fist would cause pain. Now fix the fist in place with the other hand and move the forearm and elbow back and forth. You can readily see that this movement creates the same angles at the wrist but is now being initiated by the arm. If this is done carefully, even a person with an injured wrist will experience no pain. Why? Because, to the nervous system. moving the arm does not produce pain, as the pain is "in" the moving of the fist. Instead of initiating movement at a joint further from the torso, one is moving from a joint closer to the torso. The so-called "reversal of proximal (close) and distal (far)" is one principle Feldenkrais used to construct lessons. Feldenkrais employed many other principles, including "the principle of no principles," which is invoked when one needs to act but doesn't know how. Even weaknesses can be used to facilitate learning. As Feldenkrais said, "Most people spend their whole lives using their strengths to cover up and hide their weaknesses. They expend tremendous energy in keeping themselves a house divided. But if you surrender to your weakness, therein lies your pathway to genius. A person who knows and utilizes his true weakness, who uses his strength to include it, is a whole person. He may seem rough around the edges, but there are so few people like that that they lead their generation." On some many levels we are conflicted and cross motivated. Somatically, one's "good" side, one's uninjured or more effective side, is separated form one's "bad" or injured side only conceptually. By developing the capacity to see wholly and work accordingly, strengths and weakness are integrated. The embodied sense of wholeness Feldenkrais got from Judo. Feldenkrais met Professor Jigaro Kano, founder of Judo in Paris around 1930. Kano was so impressed with Feldenkrais that he sent two of his top instructors to Paris to personally train him. After two years of daily study Feldenkrais opened up a dojo that is still in operation. Kano especially appreciated Feldenkrais' down-to-earth Western descriptions of Judo principles. A proud outgrowth of Japanese culture, Judo characterized the ideal of mind-body unification on the one hand and the engaged detachment of meditation on the other. From Judo the Feldenkrais® Method derives a number of important contributions. By educating, differentiating and integrating the movements of the lower torso and upper legs, known as the "center," one apportions strength to the strongest muscles, freeing the limbs for expression and sensitive contact. With action organized from the center, the skeleton becomes a means for transferring force from the lower torso outward to the extremities. One also learns how to turn the strength of another against him, how to transform the fear of falling into rolling, how to "reeducate" an opponent rather than destroy him. Orientation and dimensionality go hand in hand in the martial arts, and they are useful in understanding Feldenkrais' notion of posture. Orientation is crucial to life, whether it involves locating predator or prey, finding one's way through a city, or understanding a math problem. Orientation can be determined relative to one's body, to the environment, or both. Relative to my body, "up" is always towards my head and "down" is towards my feet, regardless of my body's relation to the environment. Relative to the environment, however, I am upside down if my feet point towards the ceiling. When first learning to do a Judo or Aikido roll, one feels upside down relative to the room. Later one learns to turn the room around oneself, as it were, thus maintaining a sense of self relative to the body as a system of reference. Ultimately one learns to let the situation guide the need to choose and utilize a frame of reference. The Feldenkrais® Method teaches headstands in a interesting way. The static posture of the headstand is transformed into a process of falling safely. Getting into and out of the headstand become the focus. By going slowly and clarifying our sense of orientation, falling forward and backward are made comfortable, easy, and safe. In the middle of the fall one may pause while trying to decide whether to fall forward or backward. That pause could take from a few seconds to 15 minutes. To the outside observer, it looks like a headstand, but to the person doing it, it's simply the middle of an arrested fall. Thus, learning to do a headstand is enveloped in a more general dynamic: finding a way of learning how to learn. Dimensionality involves directional planes of movement. In Judo, one's posture must permit, without prior readjustments, movements in any of the six cardinal directions -- up/down, forward/backward, left/right. Most attackers or defenders move in one plane at a time -- forward or back, left or right, up or down. They become predictable targets. Accomplished martial artists, on the other hand, can move in three dimensions at once, such as forward, down, and to the left, making their precise next position very difficult to anticipate. Pretending to move in one plane, they can "fake out" an attacker. The expert can bait an opponent by appearing to move in a single plane and then shifting into a multidimensional mode. Sensitive to the attacker's intention, the defender can present a target for the attacker, who is more than willing to take it. The defender then blends with the speed and direction of the attack and redirects it into a throw or counterattack. Actually, counting time, the martial artist moves in four dimensions, or rather becomes four-dimensional. The personal self, which is bound to time and space, disappears. This intentional multidimensionality, closely linked with what Feldenkrais called "awareness," is one byproduct of changing our ways of moving. Experienced Feldenkrais® Practitioners can view a person's somatic orientation and predict the probable consequences of his of her future actions. Feldenkrais saw orientation as an essential component in differentiating awakeness, consciousness, and awareness. One who awakens in a strange city but is not yet orientated can only be said to be awake. Once oriented -- "Oh, yes, this is Vienna. It's summer" -- one can be said to be conscious, to be linked to a world. When those links prove inadequate, awareness is used to forge new links with the world. Awareness is not a higher consciousness, but rather a means of reorienting oneself to the world. By way of an example, when reading, one focuses on the meaning of a passage; one is not conscious of the letters. To see the letters individually requires a sensory motor shift. The letters are there but our attention is otherwise occupied by our striving to derive meaning. Awareness is the potential to make shifts of attention, to bring to the fore relevant features from the background, to find new combinations and patterns and therefore new meaning. Awareness can broaden and deepen our lives. Ways of thinking and seeing derived from science, engineering, and mathematics are implicit in the Feldenkrais® Method, and these perspectives help individuals understand how they may have limited themselves. The adult body has 206 bones with varying degrees of freedom of movement between them; taken together, the bones of the skeleton provide the largest possible set of movement patterns. Evolutionary patterns of use created by the need for survival, maintenance, and reproduction comprise a smaller set. A still smaller cultural set is delimited by the constraints of a particular language, geography, religion, etc. The personal set, which is the smallest, is the set of possibilities we have settled upon as individuals. The personal self thus emerges out of impersonal biological and cultural processes. Attending to these processes takes tremendous vigilance. When the attention is not held back by personal history, when it sees the personal for what it is, history ends and a vast openness appears. In the summer of 1977 some people's imaginations were captured by Carlos Castaneda's books about Don Juan. At the end of a long day of training someone asked Feldenkrais about Castaneda's notion of stopping the internal dialogue. After pausing for a moment, he replied, "Thinking is a holding back from action, a rehearsal of action. If you act completely with no holding back, then there is no thought and no dialogue. It can be the most violent or the most delicate of actions, but if it is total then it ends thought." (The following was edited in the published version but is restored for clarification.) Many people mistakenly hold that Feldenkrais' work is opposed to thinking. In actuality mature behavior, for Feldenkrais, requires that thought and action mutually and reciprocally inform each other. Awareness is the consequence of using thought to improve action and action to improve thought. It is awareness that improves our connection to others and enhances the quality of our lives. Dennis Leri (1945-2016), Guild Certified Feldenkrais Practitioner and Guild Certified Feldenkrais Trainer has worldwide experience presenting the Feldenkrais Method® in training programs, seminars and workshops. He graduated from the first professional American training (1975-1977) and he apprenticed with Dr. Feldenkrais at the Feldenkrais Institute in Tel-Aviv, Israel. He has taught the Method for over 34 years. His accessible and challenging teaching style reflects his training in Western and Eastern philosophy, psychology, martial arts and poetics. 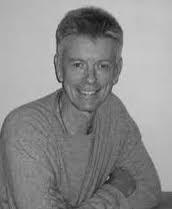 He has published articles, translated into several languages, on the Feldenkrais Method®.